Are you looking to enhance the performance of your organisation, perhaps a team, or even an individual? Our tools gather data and insights to improve productivity and is pivotal to identifying core issues, developing solutions and engaging the workforce early where change is necessary. Whether individual, team, functional, or organisation wide, our reviews are developed to suit the business and its requirements. It’s time for a more modern approach to measuring employee satisfaction. 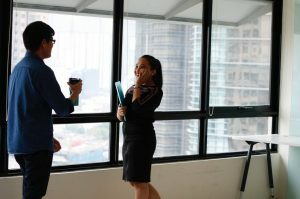 More and more businesses are realising the limitations of simplistic, data heavy, or self-created and analysed annual employee engagement surveys, and are looking for an alternative that gets to the heart of their workers’ experiences and gives them a clearer course of action for addressing problems. The Engaged Space helps you gain crucial insight into the health and wellbeing of your most important asset – your employees. Our experience has shown us what works and what doesn’t, helping you to gather the information that leads to better informed decisions that build on the strengths of your business and effectively address your weaknesses. Our Employee Engagement and Culture Survey provide workforce insights to drive strategy and workforce planning. We avoid the white noise of mass data and generic survey collection, instead focusing on tailoring what is both relevant and useful to create action within your business and any specific teams. Covering key areas including employee engagement, team effectiveness, workplace culture, leadership effectiveness and business direction, the survey is aligned to your strategic direction, values and provides insights for your business to drive business improvement. Pulse surveys then provide periodic checkpoints to track indicators that contribute to the organisational culture, employee engagement and the effectiveness of the strategies implemented. Engagement surveys for the workplace need to go beyond job satisfaction and run deeper into the organisation. A single DIY survey a year will only give you limited point in time data and is not going to give you the data you need to dig deep and find that extra productivity. We help you discover not just the right questions to ask, but when and to whom to ask them. Smarter companies are offering more employee feedback opportunities, allowing employers to more closely track the morale and engagement levels of their workforce, rather than solely taking an annual snapshot. We help businesses across Australia to start developing a narrative around their culture and the initiatives implemented through Pulse Surveys. Gather information from your employees and measure your management’s performance against clearly defined, easily understandable metrics, ensuring that you have the most up to date progress of your business, and a clear path to better results laid out for you. Professional leadership feedback surveys (360 reviews) provide valuable opinions on the perceived performance of an individual and they are the perfect tool to form the foundation of a tailored internal leadership development program, or even a performance review process. By gathering feedback from both internal and external stakeholders on how individuals perform against selected leadership capabilities, leaders can capitilise on this information to support their ongoing professional development, enable behaviour change and improve their effectiveness in the workplace. Why wait for your key personnel to leave before you get feedback on their experience of working with you? Instead, be proactive and implement a retention and engagement strategy that aims to investigate what matters to your employees and what will encourage them to stay. Improve your workplace productivity, systems, processes, culture and employee engagement with consultancy support from The Engaged Space. Contact us at our Adelaide office on 0421 271 791 and have a chat with our team to find out what we can do for you. You can also fill in our contact form or email us at contactus@theengagedspace.com.au with any questions. The Engaged Space is taking a fresh approach to human resources, empowering managers, employees and teams at every level and across every industry, helping them to better know their workers and what drives and motivates them, so they can harness that to everyone’s benefit. Get in touch with us on 0421 271 791, and let us help you discover what your business has been missing to take it to the next level. Send us a message through our enquiry page or via email at contactus@theengagedspace.com.au and we’ll get back to you as soon as possible.